A house owner would be happier if his/her house is beautiful and presentable. Covering your walls with wallpapers makes your house or office attractive and colorful. Do you know that you can make a difference in your house by covering the walls by red brick wallpaper? Try red brick wallpapers today and you will be impressed. Red brick wallpapers are the best option in the rooms with high humidity levels. The most important thing about red brick wallpapers is that they can stay for a long period of time without getting damages since they are both moisture proof and waterproof. 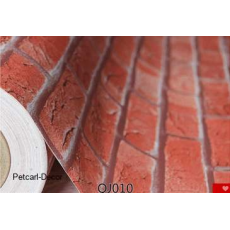 Red brick wallpapers are suitable for your bathroom, kitchen and living room. Wallpapers are much cheaper than painting since they can last for 10-15 years while painting can only last for a period of 3-5 years. If you need to make your house more cheerful and colorful, you can visit Petcarl Décor shop to buy quality and the latest wallpapers.